Every day brings reports of urgent water shortages around the world; there’s no time to lose in the search for solutions. In 2008, Time Magazine named Gidon Bromberg, Nader Al-Khateeb, and Munqeth Mehyar “Heroes of the Environment” for their work as co-directors of EcoPeace Middle East, a unique organization that brings together Jordanians, Palestinians, and Israelis to cooperate on protecting and restoring their shared environmental heritage. 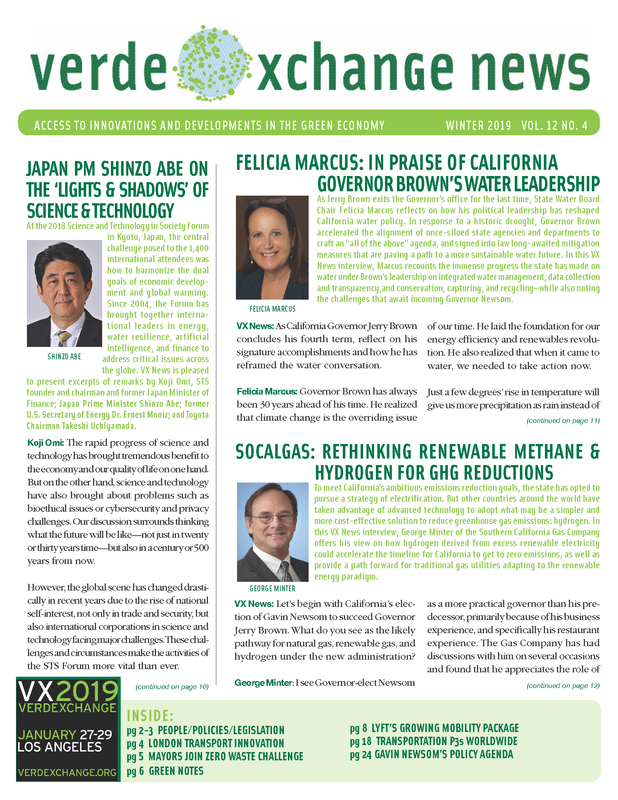 Bromberg joins VX News to share EcoPeace’s success on watershed restoration in the Jordan River Valley, and its vision of sustainable regional development leading to lasting peace. VX News: Almost a decade ago, Time Magazine honored the work of EcoPeace and highlighted the fragility of the Middle East’s ecosystem. Bring us up to date on the status of your environmental work, specifically in the Jordan River Valley. Gidon Bromberg: We have seen significant advancements and successes on the Jordan River. When the Time feature was published, raw sewage was flowing into the Jordan River from all sides. No fresh water was being released into the river, and there was no rehabilitation taking place along the river’s banks. There was certainly no vision or master plan in place to help policymakers think about rejuvenating the river and the Jordan River Valley. A decade later, there’s been tremendous progress on all of these issues. Today, there’s widespread recognition that the Jordan River deserves and needs fresh water. There’s also recognition that treated sewage is a resource that can replace fresh water and allow more agricultural produce. As a result, sewage treatment plants have been built on the Israeli side, the Jordanian side, and the Palestinian side. Tens of millions of dollars have been invested to start removing pollutants from the river. Israel now treats all domestic sewage, and no longer allows raw sewage to flow into the river. Now, for the first time in 50 years, fresh water has started to flow down the Jordan River. Desalination on the Mediterranean makes Israel less dependent on the Sea of Galilee, freeing up that water for the Jordan River. Since 2000, the Israeli Water Authority has released 9 million cubic meters of water from the Sea of Galilee to the Lower Jordan—not as a flood prevention measure, but as a matter of policy. It’s still not enough, but a precedent has been set. There’s a commitment to increase that number to 30 million, and there’s even unofficial talk of doubling that to 60 million. VX News: How much investment in water infrastructure is needed in the Jordan River Valley? From whom should the investment be coming from? Gidon Bromberg: More investments are needed on the Jordanian and Palestinian sides. But the right policies are in place, and the governments are seeking to attract investment from the international community and the private sector. Also, the first ever master plan for the Jordan River Valley has been completed. It was written by EcoPeace Middle East through Royal HaskoningDHV, a world-leading Dutch consultancy, and the European Union spent more than a million Euros to support it. The plan calls for a $4.5-billion investment program and identifies more than 120 different intervention projects. It could transform not just the Jordan River, but the whole Jordan River Valley. The valley today is in tragic condition from an environmental perspective as well as from an economic perspective. Many areas on the Jordanian and Palestinian sides of the river have up to a 40-percent unemployment rate. Moving forward on the master plan could transform what is presently a $4-billion economy into a $73-billion economy—bringing wealth, livelihoods, and economic sustainability to all sides. No less importantly, water and economic security will also bring political security—helping to move forward political processes to combat the rise of fundamentalism. VX News: Share EcoPeace’s origins and your organization’s unique, regional approach to environmental advocacy. Gidon Bromberg: EcoPeace is now 22 years old. When it was created, it was the first regional organization working with Jordanian, Palestinian, and Israeli stakeholders—and sadly it remains the only one. Our approach is twofold. Half of our programming is bottom-up community work. Through our award-winning Good Water Neighbors Program, we work in schools, with adults and activists, and with mayors and municipalities on all sides of the shared bodies of water. Our staff in these communities works to develop constituencies that will support leadership on water and environmental issues, and call on mayors and other leaders to cooperate. We help these constituencies identify concrete ways in which advancing water solutions will meet their own self-interest, and promote mutual gain. The other half of our programming takes a top-down approach, and speaks to solutions at a broader scale. We employ economists and other experts to produce professional reports based on sound science, like the Jordan Valley Master Plan. We hold events with the Israeli Knesset, the Jordanian Parliament, Palestinian elected officials, and the international community. We also publish policy recommendations, such as alternative water arrangements between Israelis and Palestinians to replace the failed interim agreement of the Oslo Accords. The strength of our work has been in the fusion of our top-down and bottom-up approaches. Through a constituency of mayors and community leaders calling for solutions, we’re able to get through to the very highest levels of government. That represents a change in mindset—an understanding that you cannot disengage from a shared environment. And indeed, as part of the reconciliation agreement, Turkey will build a desalination plant and a power generation station in Gaza in order avoid a crisis situation that wouldn’t stop at the border. VX News: A central tenet of EcoPeace is that water security and the environment can foster regional collaboration, and ultimately help create peace. What most often inhibits the bringing together of Palestinian, Israeli, and Jordanian constituencies to achieve this shared vision of peace and prosperity through collaboration? Gidon Bromberg: The greatest hindrance to our work is that in each of the three publics, there are those individuals that condemn cooperation. They call us traitors, because they see us as somehow working for the benefit of “the other side” rather than for their own communities. These individuals are vocal, and sometimes violent. They tend to be based in large cities, away from the impacts of the cross-border water and sanitation crises. It seems that the further you go away from where the crisis is being felt, the more privilege you have to suggest that we should not move forward on any one issue, like the environment, without first solving the entire Middle East conflict. We’ve found that for the most part, we can respond powerfully to this view. Our work speaks to concrete issues that people are suffering from—whether from serious water shortages on the Palestinian side, or from tens of millions of cubic meters of raw sewage flowing into major cities on the Israeli side. There is a price being paid every single day on both sides for the failure to move forward on these urgent water and sanitation issues. That’s why in Israel, for example, we tend to find that the communities around Gaza are the most supportive of cooperation. And that’s what empowers us to stand up to the individuals who oppose our work. VX News: Elaborate on EcoPeace’s unique governance structure and board. Gidon Bromberg: What makes us unique is that we always move forward in a parallel way on actions that address trans-boundary issues. Our board is a third Israeli, a third Jordanian, and a third Palestinian. We have about 100 staff members—also a third from each nationality—and each one advances their project together with staff from the other offices. We also have three directors who manage the organization on a daily basis, based in Tel Aviv, Bethlehem, and Amman. Our strength comes from the fact that although we are made up of Israelis speaking Hebrew to Israelis, and Jordanians and Palestinians speaking Arabic to Jordanian and Palestinians, we’re nonetheless speaking the same language—because we share the same objective. That being said, EcoPeace’s co-directors are incredibly brave individuals within their nations. Munqeth Mehyar, our Jordanian director, is an architect by profession, and a highly respected leader in Jordan’s water/environment sector. He has stood up to incredible pressure from elements of the Jordanian public that condemn cooperation with Israel despite the fact that there is a peace treaty.Nader Al-Khateeb, our Palestinian director, is a water engineer by profession. He helped create the Palestinian Water Authority, and later left government in the belief that civil society can be just as impactful, if not more. He has also been incredibly brave to do this work where there is a very loud minority voice against any type of cooperation with Israel, even if it advances Palestinian self-interest. VX News: What financial and policy support does EcoPeace receive currently? What support would you like to entice? Gidon Bromberg: At the policy level, we’ve seen resolutions from the US Senate and European Parliament in support of rehabilitating the Jordan River. We’ve also had policy support at various times from our three governments. From a financial perspective, the organization doesn’t take any money from our own three governments, in order to make sure that we remain truly independent. As a non-profit organization, we are completely dependent on donations from individuals, foundations, organizations, and aid agencies. USAID, for example, has supported us through competitive grants over the last 22 years. We have created an international advisory committee of distinguished individuals to help us at the financial and policy level. We’ve received support from some very significant American foundations including the New Israel Fund. In September, we will meet with members of Congress in Washington and the United Nations in New York to create opportunities to bring the policy that “water cannot wait” to the US and international agendas. This is a big moment for water security. Thanks to technological advancements and leadership on water issues, Israel has excess water for the first time in its history. That is important because it creates an opportunity for the Israeli and Palestinian governments to move forward on a new water agreement, with no sector in Israel having to lose a single cubic meter of water. A new arrangement would allow us to share the natural water supply more fairly, which would mean adequate water in every Palestinian home. It would help us manage the sanitation issues that pollute every stream coming from the West Bank into Israel. This would be a true win-win, at low political cost and high political gains for Palestinians and Israelis. 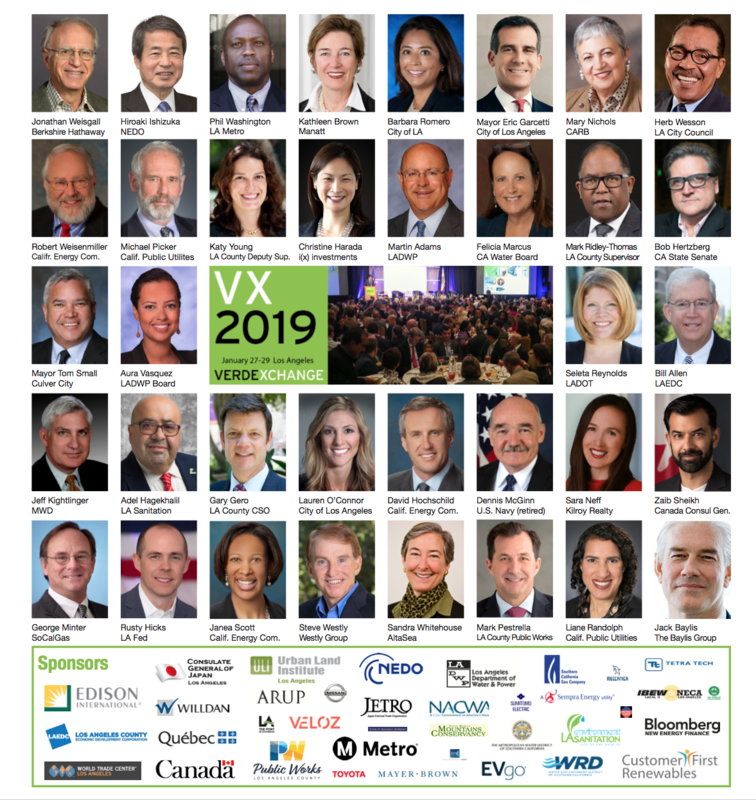 VX News: In closing, if we were to speak again six months from now—perhaps at the VerdeXchange California Conference at the end of January—what would you be sharing? Gidon Bromberg: Six months from today—post-US election—we would be talking about water security and Middle East stability with the new administration. We would be advancing the call for a final agreement on water between Israelis and Palestinians and a vision for a water/renewable energy community in the Middle East, with desalination plants along the Mediterranean coast being run on PV power produced in the eastern deserts of Jordan. From our perspective, the role of the military in security is critical, but limited. In order to advance human security, we need to put into place healthy interdependencies. And in our part of the world, water and renewable energy are two critical resources that can be combined to promote stability, security, and economic wealth for all our peoples. A cooperative water/energy community would be a basis for regional security—and create a model that could expand to Egypt, Saudi Arabia, Lebanon, and in the future even Syria.